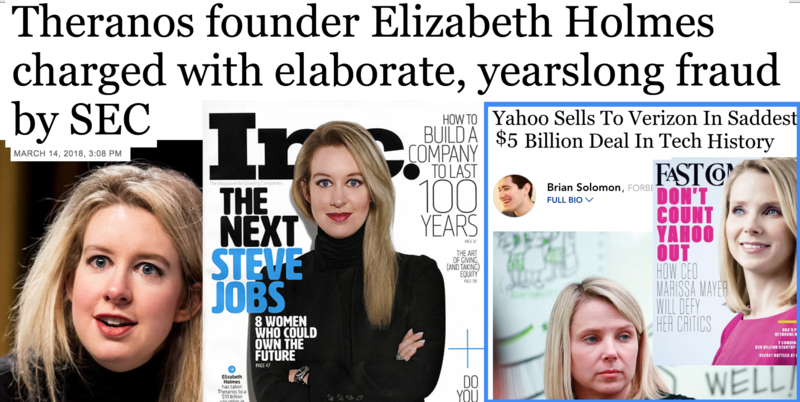 The media hailed female entrepreneur Elizabeth Holmes as "the next Steve Jobs" because she wore a turtle neck and claimed to have revolutionized blood-testing with her company Theranos. On Wednesday, she was charged with "massive fraud" by the SEC. Elizabeth Holmes -- the Silicon Valley wunderkind whose blood-testing startup Theranos has collapsed in a slew of scandals -- has been charged with "massive fraud" by the Securities and Exchange Commission. 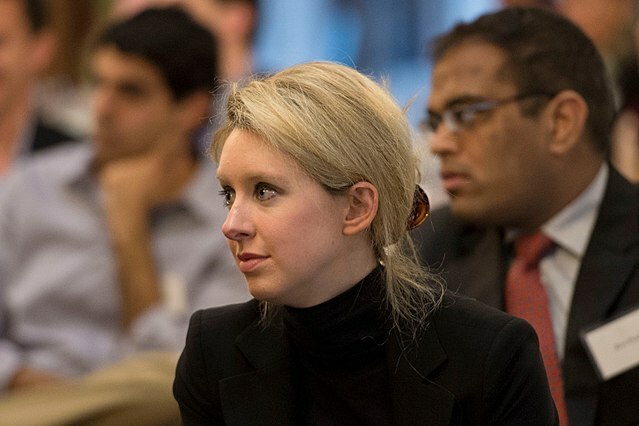 Holmes -- a Steve Jobs wannabe who dressed exclusively in black turtlenecks as she talked up her blood-testing unicorn, which at one point boasted a valuation north of $9 billion -- settled with the regulators for $500,000 while neither admitting nor denying the accusations. Martin Shkreli meanwhile was hit with a $7.36 million fine and given seven years, possibly in a dangerous high-security prison. Theranos and 34-year-old Holmes ran "an elaborate, years-long fraud in which they exaggerated or made false statements about the company's technology, business, and financial performance," according to the SEC. While Theranos had said it was on track to make $100 million by the end of 2014, the real figure was "a little more than $100,000," according to the SEC. And, contrary to what Theranos told investors about the Department Defense using its blood tests, they were "never deployed by the DOD in the battlefield, in Afghanistan, or on medevac helicopters," according to the settlement. The disgraced CEO also misled employees about its institutional backing, according to the charges. Theranos distributed pitch books to investors containing articles purportedly written by other pharmaceutical executives -- lending the startup institutional clout --but were in fact written by company employees, according to the charges. As Steve Sailer noted, Holmes filled her company with deep state cronies, recruiting for her board "aged national security superstars like former secretaries of state George Schultz and Henry Kissinger, past and current secretaries of defense like Bill Perry and James Mattis, and so forth." In reality, the company didn't have any reliable technology to test blood samples, and sent blood to third-party companies for testing, according to the complaint. She pushed the narrative about "women and girls" in STEM and the controlled media rewarded her for it. Too bad for her investors.